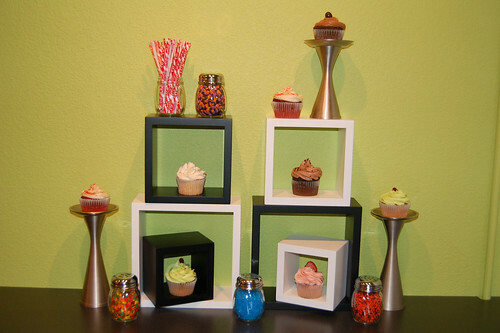 CakeSpy: A lot of cupcake businesses have opened in the past several years, but the story about how yours came about is a little different. Could you share it with us? Cherie Gilbert: I was an interior designer before opening the shop. My 15 year old daughter had a brain tumor when she was four which went away, but two years ago we found out she had another one. Due to her treatment it was hard for me to work with design customers when she didn't feel well as it required a lot of time out and about. 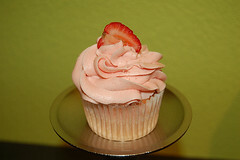 I rented a kitchen and started making cupcakes and doing deliveries to supplement my income the beginning of last year. I had so many people asking for a store so they could see them or just get 1 or 2. My husband and I thought it would be a good ideal to open a store and have a space in the backroom where Nikki, my daughter could stay if she didn't feel well. So we started looking for a spot, found one right away, and opened the end of August. Started out slowly by word of mouth and haven't stopped growing yet. We are reinventing the wheel daily and I am loving very minute of it. CS: How has your life changed since you opened Galaxy Cupcakes? CG: It has been crazy busy! I thrive on it though and I am really enjoying it. It is not always easy and it becomes your life. I couldn't do it with out my husband though. He pitches in a lot. If he is not doing dishes for me on the weekends, he is grocery shopping for home or doing the laundry at home so I don't have to. If I didn't have his 100% support, I wouldn't make it. 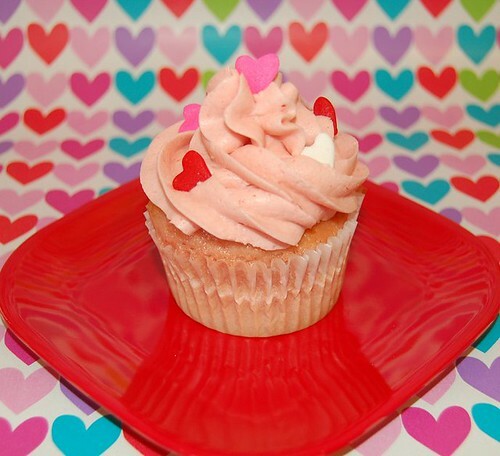 CS: The cupcake trend seems to have started and caught on in mostly urban areas and cities, but you're in a more suburban area north of Austin. How did residents react to the opening of a cupcake business in your area? CG: Oh, they loved it! They are so glad they can get something fun and funky without having to drive into Austin. 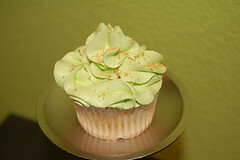 CS: The economy is worrying everyone, yet cupcakes seem to be getting even more popular. 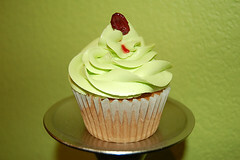 Would you say that cupcakes are "recession-proof"? CG: I don't know if anything is recession-proof, but I do know that during hard times people need a pick me up every now and again. 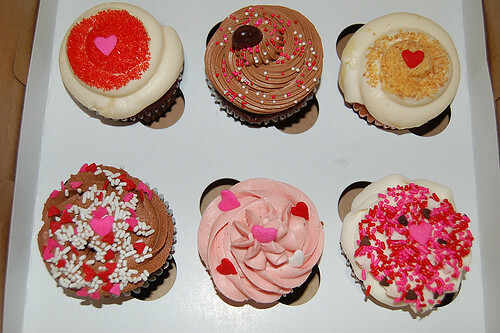 Cupcakes are great for cheering us up, they make us feel happy. People aren't going out and buying a new sofa right now, but a $2.50 cupcake is not going to break the bank. CS: You mention that you're thinking of offering muffins in the future. Tell us: what exactly is the difference between cupcakes and muffins? CG: Muffins are more of a quick bread and a little denser, where cupcakes are a cake and a little fluffier. Muffins are not frosted and can have a crumb, nut, or oat topping. 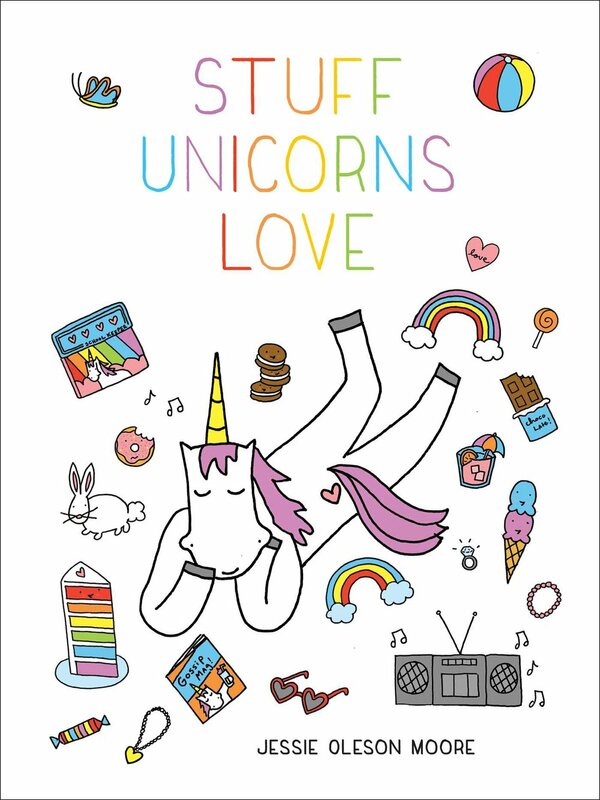 Also muffins tend to be less sweet than a cupcake. 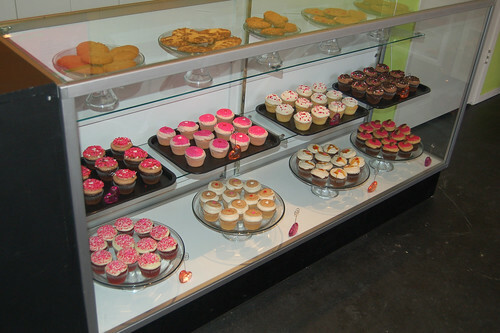 Muffins are mainly served for breakfast or brunch and cupcakes are usually not served before lunch. CS: What's your most popular flavor? CG: That would be our Eclipse (Jack & Coke). It is a chocolate cake made with coke instead of milk and topped with cream cheese and bourbon icing. It's funny because I am not a big bourbon fan, but the mixture of the bourbon and cream cheese is to die for! CS: Your flavors are incredibly creative! We just imagine you having cocktail parties and inventing them. But tell us--how does the process of inventing a flavor really happen? CS: Well, I started out making my favorite fruity drink, Strawberry Daiquiri, and loved it; so I came up with other drinks I like, Bellini and Cosmo. I decided I'd better have something for all the men out there, not just my girlie drinks, and came up with the Jack & Coke and Bailey's & Cream. The trick is getting just enough alcohol for flavor with out making the dough too runny where it will collapse when cooled. CS: How is your background of interior design reflected in your retail space? CG: I have always preferred modern design. My husband and I liked mid-century modern design way before it was the in thing. We live in a 1962 modern ranch home, completely original and decorated to period with Danish modern furniture. We wanted a 1960s swank bachelor pad/googie feel. We wanted it to feel like you had walked into a lounge in Las Vegas when the Rat Pack Ruled the Day. We used pink, lime green, and black as the color scheme. I wanted to use as much black as possible so it wouldn't be too frilly for the men, and I get more comments on the design from men than women. CS: You mentioned getting a lot of requests for pie. Do you ever think pie will eclipse cupcakes as the hot-ticket dessert item? CS: What's next for Galaxy Cupcakes? CG: Who knows -- maybe someday we'll have locations throughout the entire Galaxy! 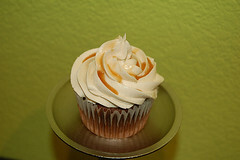 Galaxy Cupcakes is located at 1501 Park Lane, #105, Georgetown, TX; to see their photos, check out their flickr page; or more information, visit galaxycupcakes.com.